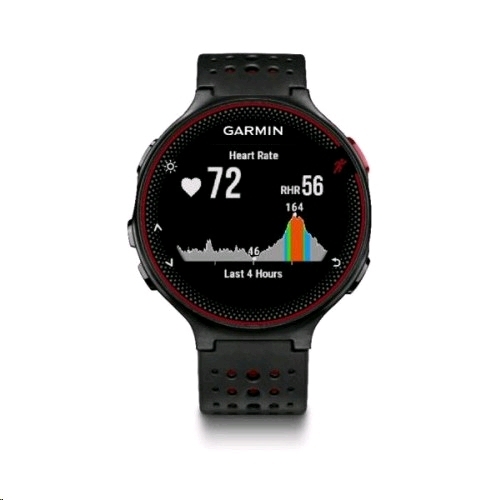 Forerunner 235 uses Garmin Elevate heart rate technology. 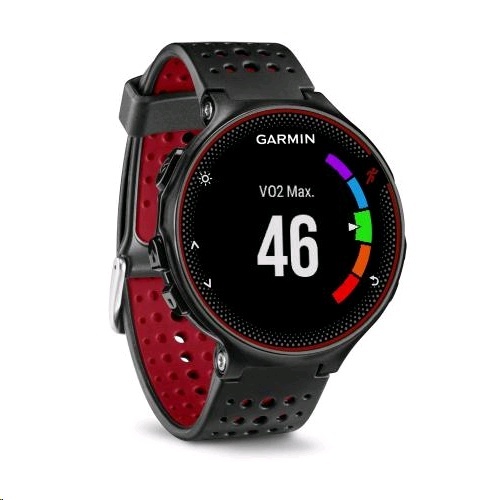 An optical sensor measures heart rate 24/7 at the wrist, giving you the option to run without a strap. Its colourful gauge identifies your heart rate zone and beats per minute in real time. A built-in accelerator captures distance and pace data when you're running on an indoor track or treadmill, with no need for a separate foot pod accessory. Once you're done running, it doubles as an activity tracker, counting your steps and calories throughout the day. It also reminds you to move after sitting for more than an hour. 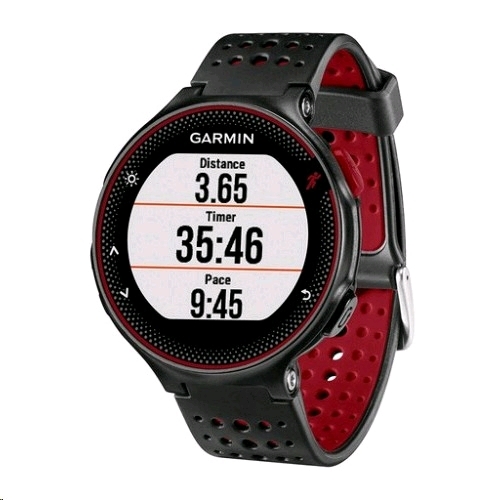 Forerunner 235 is compatible with GPS and GLONASS satellites to locate your position quickly and precisely whether you're running deep in the woods or near tall buildings. Concise, easy-to-understand charts, graphs, maps and more let you view your activities, track progress toward goals and wirelessly upload and share relevant data directly with the online Garmin Connect network. So, you can compete with friends or family members on weekly step or running challenges and compare your results in real time, using the LiveTrack feature. You can also use the app's wireless connectivity links to receive current weather conditions, forecasts and smart notifications right on your compatible Garmin device. Download the free Garmin Face It watch face app to customise your device with any photo from your smartphone. Just download the app, choose an image from your photo library, adjust the style for time and set it as your watch's face. Whether it's a scenic view from your last hike or a picture of your new puppy, with Garmin you can add personality to your watch that's uniquely you.